(Bloomberg) -- Carlos Ghosn went all-in on China by approving a plan to invest $9 billion, yet his successor at Nissan Motor Co. appears to be rolling that back amid signs the world’s biggest car market is beginning an extended downturn. Nissan is cutting a future target for China car sales by about 8 percent, people familiar with the matter said. Nissan and Dongfeng Motor Corp. now forecast their joint venture will sell 2.39 million vehicles in 2022, the end of the current mid-term plan. That’s a reduction of more than 200,000 units from the previous target, the people said. The revision is being discussed as Chief Executive Officer Hiroto Saikawa embarks on a program to put profitability before growth in sales volume, people familiar with the matter said, asking not to be identified because the information isn’t public. That includes possibly taking a break from introducing brand-new models in China. Nicholas Maxfield, a spokesman for Yokohama-based Nissan, said Thursday the company hasn’t made any announcements regarding changes to its China business plan. Nissan’s venture with Wuhan-based Dongfeng said it will review the mid-term targets and may make adjustments based on market conditions. Dongfeng Motor Group Co. shares fell 1.2 percent in Hong Kong on Wednesday. Tokyo exchanges were closed Thursday for a holiday. 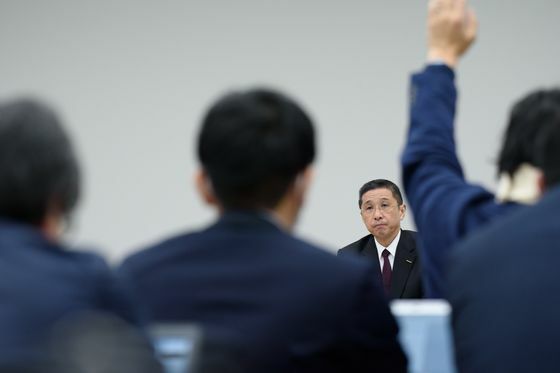 Nissan’s strategy in China, a longstanding priority and source of pride under Ghosn, is the latest company pillar to shake since Saikawa took over after the former chairman’s Nov. 19 arrest. The Japanese executive fended off Ghosn’s intention to merge Nissan with alliance partners Renault SA and Mitsubishi Motors Corp., and he criticized the strategy of offering above-average incentives and sacrificing profits for market share in the U.S.
Ghosn is charged with falsifying financial information and breach of trust. He denies the charges and will go to trial after being freed on bail earlier this month. Under Ghosn, Nissan pledged to invest $9 billion over five years in China and introduce 20 electrified models by 2022. It intended to boost annual deliveries by 1 million units, compared with last year’s sales total of 1.56 million vehicles, including imports. Saikawa’s mandate to Nissan executives is to not focus on sales volume — as Ghosn did — but rather to boost profit, according to one person familiar with his thinking. No major new Nissan models are planned for the China market through 2020, and its luxury Infiniti brand plans no new vehicles through 2021. Given current conditions, this is probably the right approach, said Janet Lewis, an analyst at Macquarie Capital Securities (Japan) Ltd.
“The move by Saikawa to improve the profitability of sales, even if it means a lower market share, is correct,’’ Lewis said. Nissan doesn’t comment on its product plans, Maxfield said. 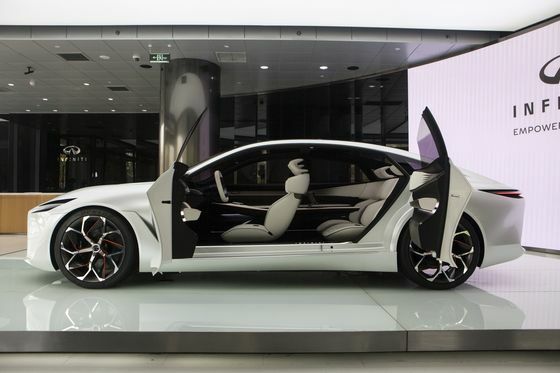 At risk is Nissan’s standing as the biggest Japanese carmaker in China and the third biggest among foreign companies, trailing only Volkswagen AG and General Motors Co.
China is the world’s biggest market for EVs, with consumers there buying one of every two sold globally. Every manufacturer there must meet strict output targets for NEVs or buy credits from competitors as the government moves to phase out gas guzzlers. Nissan’s Leaf is the best-selling electric car ever, according to data compiled by BloombergNEF, and spawned a wave of competing models from traditional automakers and startups such as Tesla Inc. and NIO Inc.
Rivals chipped away at the Leaf’s lead with key technology advancements, and Ghosn’s arrest prompted Nissan to postpone the updated model’s debut in Tokyo. Tesla is building a factory in Shanghai to make its first cars outside the U.S.
Nissan’s released its first China-made EV last year, using the Leaf’s power train in its Sylphy model. Another cause for concern: China’s annual car sales declined last year for the first time since the early 1990s, and ongoing trade tensions with the U.S. threaten to dampen demand even further. Cutting costs in such an environment may deliver short-term profit gains but hurt Nissan’s chances to compete down the road.